The most raving news about Suge knight left everyone shaken when they came to know that the rap mogul was arrested for a murder on 29th day of January. 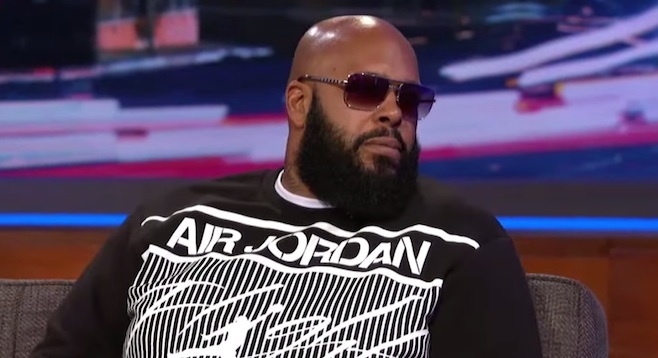 Suge Knight was declared as culprit by police after a hit-and-run in Los Angeles in which resulted into one man' s death while his LAWYER James Blatt said that he'd be putting his hands on the unwanted situation that has raised by now. According to the Los Angeles County Sheriff, the record producer who was arrested for murder and was held in West Hollywood now has been released on bail against $2million. Knight is a man who helped some great people initiate their successful professional life. The co-founder of Death Row Records has been a strong support in launching the careers of Tupac Shakur, Dr. Dre and Snoop Dogg. However the negative side his personality, on the other hand, has witnessed numerous incidents in his life when he stuck with law troubles. Those include the part when he spent his 9 years behind the prison for a probation violation. No one can forget last year's August when Knight was shot six times at a nightspot in Los Angeles. The sources claiming Knight as the culprit enlightened the entire scene in front of the media whereas Lt. John Corina from the Los Angeles County Sheriff's Department too put some light on the occurrence that caused a man die. As per the sources, it was 3pm of the afternoon, when a man who was appeared to be Knight reached at a burger shop. Soon he had an argument with two other men there. The guy appeared to be the star hit his car to one of the two people and then ran over the other man. These men of age 55 and 51 were taken to hospital where one died and the other is under treatment. Reports also claim that following the scene, Knight escaped in a red Ford pickup that was later found in a car park in West Los Angeles. It was previously said the incident occurred on a movie shoot that involved Ice Cube and Dr. Dre in Compton, California however it's now being detailed by the police that there was a former quarrel encircling around the same people but it didn't take place at the same place. The reports yet aren't able to resolve the mystery whether this was the assumed film set episode, which is acclaimed to have taken place as the forthcoming N.W.A biopic Straight Outta Compton was being filmed. apparently confirmed the accident and said Knight was behind the wheel at that time. He also said that the victims weren't the same people, Knight had arguments with. According to the statement by his lawyer, the two men were physically assaulting Knight and he was trying to escape. Unfortunately in the effort of escaping he hit two [other] men. "We are sure that once the investigation is done, Knight will be totally clear," James Blatt showed his confidence while talking to Associated Press. On the other hand, Lt. Corina alleges that it was deliberate and that the victims are the same people Knight was had disagreeing with. While talking to the media reports, he said that it appeared as Knight drove toward the back and hit the victims and drove forwards and hit them again. Even the people they inquired to also said that it seemed to be an intentional act. The mystery is soon to be solved and disclosed to everyone taken aback here but another fact that perhaps Knight supporters aren't aware of is that if he is proven to be a murderer, he'll be living behind the prison for 30 years.